Under the California Fair Employment and Housing Act (FEHA), employers are liable for perceived disabilities as well as actual disabilities, California Government Code Section 12940. Discrimination is often based upon stereotypes. Perceived disability discrimination exists when somebody has a medical condition or impairment which allows them to work with accommodation, but the employer insists they cannot. Perceived disability discrimination can also exist if an employee does not have anything wrong with them, but the employer asserts that they do and refuses to allow the employee to work due to perceived disability. Issues of perceived disability may come up when an employer demands that an employee have perfect blood pressure in order to drive for work even though the employee’s doctor has cleared them to return to work, and their blood pressure is at a level that the DMV allows them to drive. Disability discrimination often becomes an employment lawsuit when an employee with a disability is cleared by their doctor to return to work, but the employer will not permit them to return to work at all, or without restrictions. We recently concluded a Ventura County case in which a mechanic was cleared to return to work with a restriction that he could not climb more than six feet off the ground. The employer refused to consider whether the job could be done with the reasonable accommodation of no climbing six feet off the ground for a limited period of time. Disability discrimination cases involve situations in which the employer is supposed to engage in an interactive process with the employee to determine whether the employee can accommodate the employee’s reasonable work restrictions due to disability. Accommodations or restrictions doctors prescribe such as no heavy lifting, no standing for more than one hour without a break. Reasonable accommodations of a disability must be reasonable to the job. For example, an accommodation that a delivery driver, without any other experience than driving, work as a typist using computerized billing programs may not be. Reasonable accommodations cannot present undue hardship on the employer. This, however, is a difficult standard for an employer to meet. In two separate cases involving nurses in a nursing homes, we successfully argued in court an employer incurring a mere few dollars an hour extra for a limited period of time is not an undue burden on the employer. (a) The law of this state in the area of disabilities provides protections independent from those in the federal Americans with Disabilities Act of 1990…this state’s law provides additional protections. The Employment Lawyers Group has handled hundreds of employee cases for disability discrimination. We have recently tried and arbitrated disability discrimination cases against employer. Not only are we experienced in what must be argued in a disability discrimination case, but we are also knowledgeable of the interrelationship between the multiple laws that protect medical conditions in employment. Firm Founder, Karl Gerber, made a chart to illustrate the various leaves and interrelationships between California leave laws. WORK INJURIES THAT CAUSE PERMANENT DISABILITIES TO THE ANKLE, BACK, HANDS, LEGS, ETC. Firm head Karl Gerber takes a personal affront to disability discrimination. His wife sponsors Team Stephanie at the National Multiple Sclerosis Walk, Mr. Gerber has walked since 2000. Mr. Gerber and his wife are also sponsors of the Southern California Families With Marfans Group that meets at his house on a quarterly basis. Mr. Gerber is also involved in the Ovarian and Breast Cancer walks in Los Angeles. Persons suffering from cancer and multiple sclerosis have a special place in Mr. Gerber’s heart. 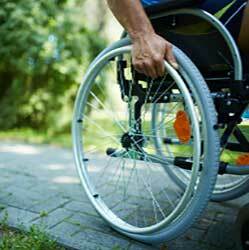 Disability Discrimination is a growing concern. If an employer is discriminating against you due to physical or a health impairment, they may be violating a California law on disability discrimination. 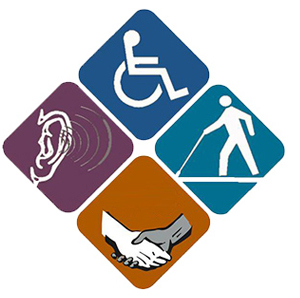 Call 1-877-525-0700 to speak to an experienced disability discrimination lawyer who cares.